RustyBrick is proud to announce the launch of a revamped public site for Emergency Medical Associates of New Jersey. The new public site has many technology and design updates. We redesigned the front-end with a new color and layout scheme. The content is fully managed through a custom-built content management system that is fully integrated with the EMA Private Portal Web site. Finally, the public site is 100% optimized for search engine visibility. 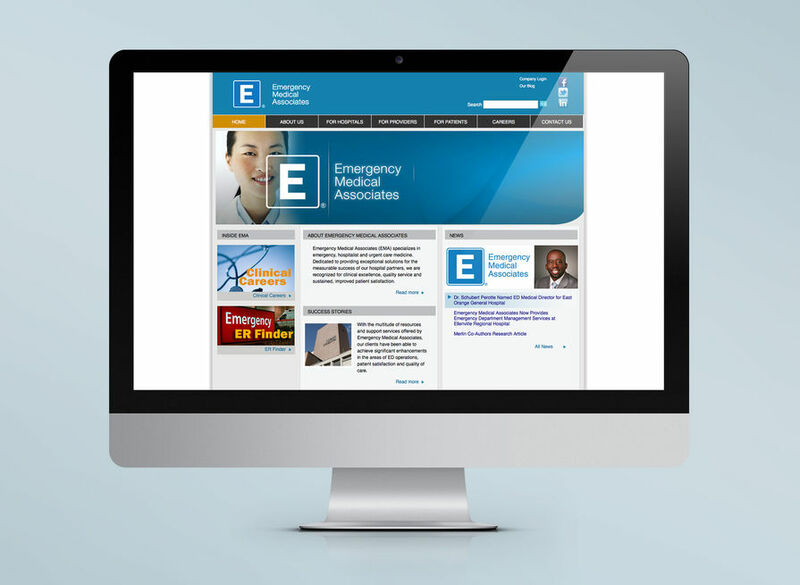 The new layout and design were created to convey the true sense of EMA's goal to provide its customer-base's (Emergency Room and professionals) with the highest quality services through Web technologies and automation. By enhancing the Web viewer's online experience and better targeting their needs, RustyBrick is helping EMA to achieve its corporate goals of increasing satisfaction levels and building brand loyalty. The site features a new customer-centric navigation scheme and online conference registration, which increases the general usability of the site. The public site looks fairly simple and static, however it is a fully dynamic site. The site is fully manageable through a custom-built content management system that is integrated into the EMA Private Portal. Public site administrators can easily add pages to the new site and have these pages appear in a matter of seconds on the live ema-nj.com site. The administrators can also easily add new sections (top-level or sub-level) within the private site portal. In addition to all of these changes, the ema-nj.com site is 100% search engine friendly. RustyBrick has optimized the site to perform well within search engine's indices. We used a dynamic building mod_rewrite to optimize the URLs, as well as dynamically built page titles and code for each page in a search engine friendly manner. RustyBrick is proud to announce the launch of the new face to EMA's Web presence. We are happy to be able to use our skills to the max to provide EMA with the latest in Web design and programming technologies. Please visit the new EMA Public Site at http://www.ema-nj.com/.